Ben & Jerry's addicts rejoice: Microsoft just won a patent for AR glasses that could help to combat overeating. Physical restraint is still needed to keep me away from that ice-creamy goodness, but a little virtual voice saying 'DON'T DO IT' could definitely help when the cravings come. A see-through, head mounted display and sensing devices cooperating to provide feedback on food items detected in the device field of view. Feedback can include warnings based on personal wearer needs, general nutrition information, food consumption tracking and social interactions. The system includes one or more processing devices in communication with the display and the sensors which identify food items proximate to the apparatus, determine feedback information relevant to a wearer of the apparatus; and render feedback information in the display. The information provided to the user would be sourced from either the restaurant or company who manufactured the food in question. This feature could certainly come in handy for those of us trying to shift a New York Stone or two in the face of so many amazing — and fattening — culinary delights. These glasses could also calculate how much the user is eating by their actions. The device essentially sees the plate of food and could detect chewing. If the plate is only half-finished — as if! — the smart frames would note this accordingly. 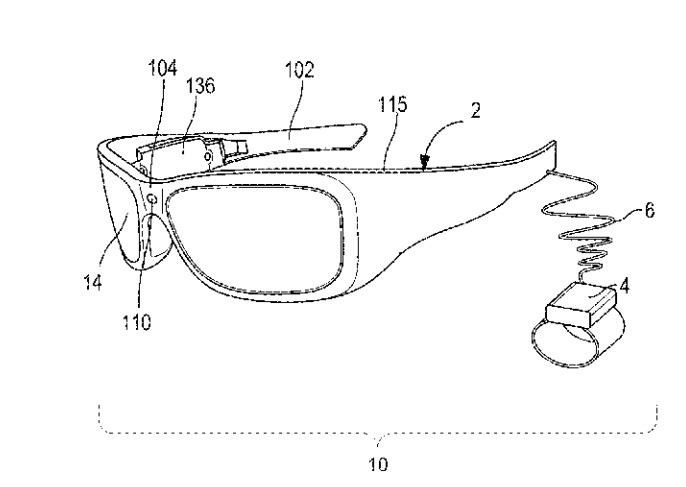 In this way, the glasses could track user intake over time. So, let's say you've indulged and gobbled an enormous $1 pizza slice at lunch: the Microsoft device could inform you that you're running a little too close to your calorie limit for the day. But that's only the tip of the iceberg lettuce because Microsoft's AR invention also could provide a social platform for users. Once the wearer enters a restaurant, the glasses may relay friends' reviews of the place and allow the exchange of nutritional information. Evidently, Microsoft wants a slice of the lucrative fitness tech market, which has seen the rise of devices like Fitbit, which archives and details users' activity throughout the day. Geek Wire points out that they stopped making their own version, the Microsoft Band in 2016, which would indicate that there's something else afoot. Automatically registering users' food intake with these AR glasses in lieu of them having to do so manually would up the ante in that arena. 'Tracking of wearer's eyes relative to wearable device' and 'Adjusting image frames based on tracking motion of eyes' are just two of the many, many Microsoft patents published last week. The virtual sky is the limit when it comes to augmented reality and clearly, Microsoft is going to be a part of that, in the nutritional arena and beyond. Cover image by Nicki Minaj - Feeling Myself (feat. Beyoncé) / MasterDumb / YouTube.